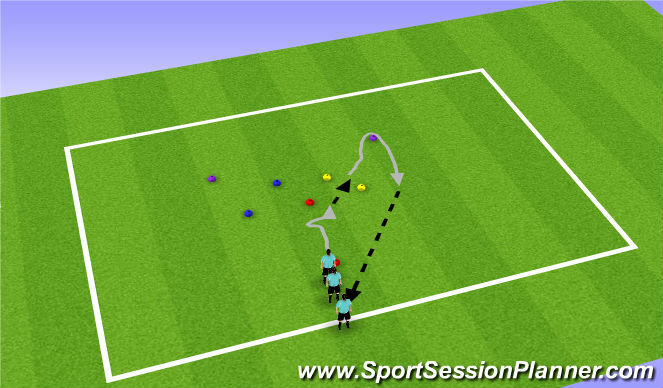 - red cone 4-5 yrds away, yellow and blue cones 1 yard from red cones, and purple cones 2-3 yrds away. 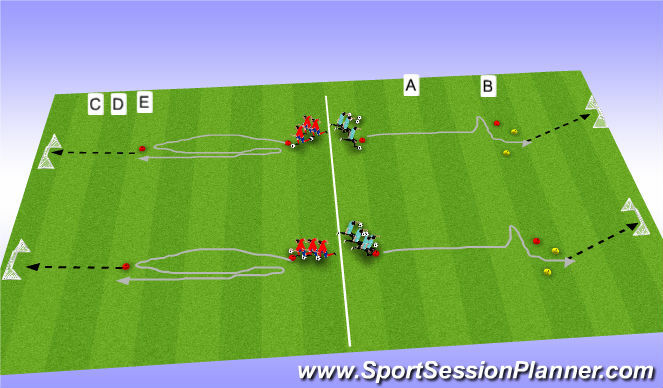 -focus on firast touch after the move must go diagonal through the cones. Players split into 2 teams.